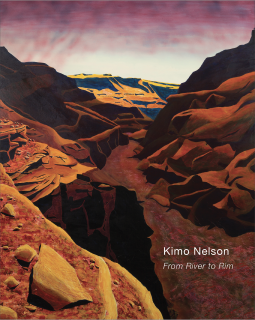 Kimo Nelson’s new paintings and drawings offer a vibrant and stimulating documentation of American Western travel. 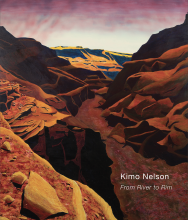 With perspective shifting from the bend of a river to the crest of a rock-strewn trail, this latest body of work archives two river expeditions -- a 19-day trip through the Grand Canyon, and 8 days in Canyonlands National Park. I begin my work as an explorer and a collector. I make archives of found objects, photos, and drawings that provide a point of departure for paintings produced through experimentation, process, and chance operations. 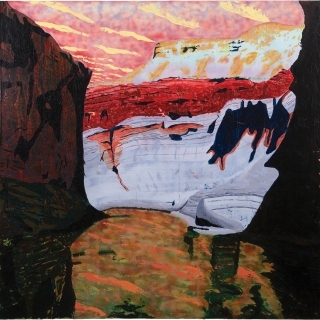 Regularly leaving New York City’s congested environment and returning to the wilderness areas where he used to live provides an important contrast to the artist. These excursions serve as reminders of this protected land’s significance, as well as its valuable place in the larger, elaborate ecosystem which we all inhabit. Born in 1980, Honolulu, HI, Nelson lives and works in Brooklyn, NY. He studied painting and drawing at the Oregon College of Art and Craft, and environmental studies at Lewis & Clark College in Portland, OR. Nelson went on to receive an MFA in painting with honors from the Rhode Island School of Design in Providence, RI, in 2012, where he is also the recipient of two graduate fellowships. A fully illustrated catalogue is available.